Nowadays with the internet, the phone, devices like those by Garmin and Polar to collect data, it is perfectly possible to coach the physiological and psychological aspects of training via distance. Personally I like to use e-mail, skype and www.cyclinganalytics.com. Biomechamics and skills, on the other hand need to be addressed in person. In cycling for example, the closest the coach can get is monitor a test on an an ergotrainer, or observe the athlete from a follow car. In swimming a coach can be pool side, while in running, a coach can be track side. All these points of view are far removed from that of the participant. does coach in the car help a rider go faster? I would say pedagogy is slightly affected by distance coaching, as in person teaching and teaching trough example is necessary to get some points across. However using e-mail as a tool to communicate coaching advice there is a record of information which the person can fall back on. Personally, I prefer learning via distance since I can focus better. Others, prefer a more interactive learning environment. I try to keep this blog (www.swiftmomentumsports.com/training-blog) with this aim too. I concentrate on the data and the feedback. The separation allows a more objective analysis of the data. The data is mostly used to monitor training effect, while feedback is primarily used to establish factors moderating the training and psychological aspects of training which are far more significant than I thought before studying sports psychology. I’ve had most success when people come here and spend a week training. The best effect being people staying in my own home, however this isn’t something I offer commercially! 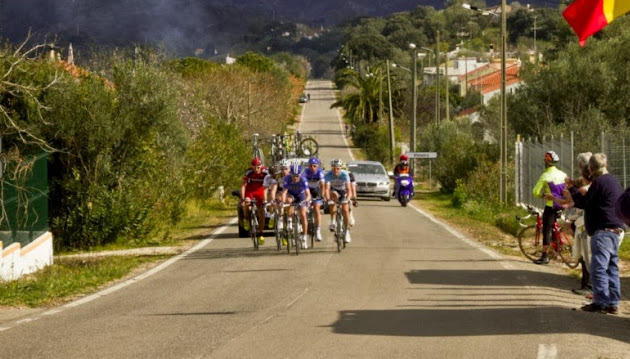 The brief period of a training camp is usually enough to get through a multitude of little errors people make training: Or should I say, ‘lifestyle’ errors that affect training. This allowed two people to reach the very highest level of their sport. All my athletes have improved. This is good. Being too focused on the numbers like there are machines, is not good. I’ve been guilty of this in the past, it’s too easy to just concentrate on the data at a distance and not enough on the person. That a person is satisfied with their training is more important than eking out every percent of performance.